I’ve already blogged about OWASP Dependency Check or its alternative SourceClear in the past. 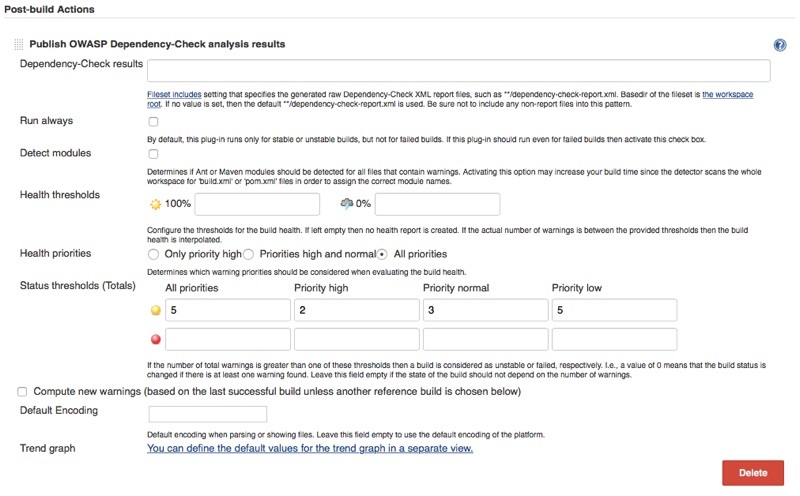 But there is more you can do about security in a typical (Jenkins) build. Although I’m calling this post “Security in the build pipeline” I’m not actually using the Jenkins pipeline as code feature. Security scans are independent of that, so it doesn’t matter whether you are using pipeline as code, a freestyle or a Maven job (or any other type you can think of). I’m focused on Jenkins, since that’s the build server I’m used to. However most of the tools should be available for other build servers as well. This post is the start of a little series talking about security in the build pipeline. One important part of that – verifying that there a no known vulnerabilities in your dependencies – has been published already. Upcoming parts will take care of a vulnerability scan in the web application to build and scan for vulnerabilities in your actual code. The “problem” with all these scans is, that they will slow down your build. Every single one. That’s why I recommend to not scan in a build job that has been started because of a source code change (a push in your Git repo). You usually want fast feedback for those jobs, and even some extra minutes for a simple scan will be too long. I recommend a nightly build for those scans, one which provides feedback (reports) in the morning for the architect or security champion who cleans those reports and assigns the stuff to fix to the team. A weekly security build is too rare, a nightly build is a good compromise. It’s always helpful to assign a single person to validate all reports and prepare them for your daily or create bug tickets. There will be false positives, there will be duplicates and not every finding is important (right away). This person should – whenever supported by the tool or plug-in – create and maintain ignore lists (blacklists) to get rid of false positives as soon as possible. These tasks require a little more security knowledge than usually available, a perfect job for a security champion! Always keep in mind that all those scans aim for the low hanging fruits. They can’t replace secure development, they don’t find every security vulnerability. And they don’t make pen tests and code reviews superfluous. Use them as an additional defense mechanism. Removing the low hanging fruits before a pen test forces the pentester hunting the more complicated vulnerabilities. This was the first post for more security in your build, watch out for the next one to come. 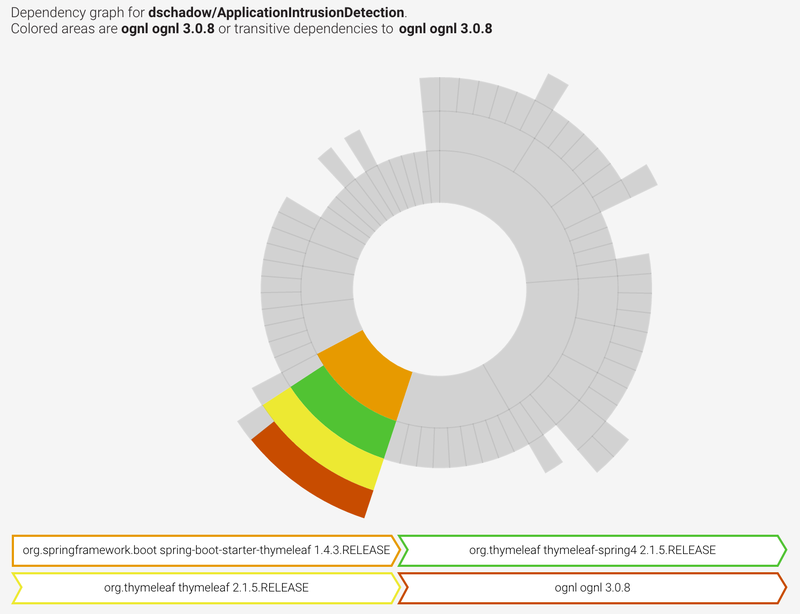 In the meanwhile – if you haven’t done so already – have a look at my post on scanning for known vulnerabilities in third party dependencies within Jenkins. I was approached by SourceClear a little while ago to have another look at their dependency vulnerability scanner after my first blog post on their service. Since I already liked the tool before, I was quite interested to see what they have changed and was happy to do another test. The test setup partly changed: While I did scan the same repositories again (JavaSecurity and ApplicationIntrusionDetection) I did switch to their Travis CI integration and did an automatic scan after a successful build. I did scan the latest version of the pom files, the listed dependencies (their versions) therefore changed since my first scan in May 2016. On the first run in May 2016, one critical vulnerability in Apache Commons BeanUtils has been reported. Now there are two more: One in Apache Commons FileUpload and one in Xalan. Plus another medium one in FileUpload. Here the scan changed from zero vulnerabilities to one medium in OGNL. All discovered vulnerabilities have been disclosed before my first scan in May, so they did a nice job updating their scanner and detection capabilities since then. There are plenty more options to find out more details about an identified vulnerability and whether or not it has been fixed (including the fixed version). There seem to be some cases where this is not working correctly (see below with Spring AOP or Spring Beans, where the latest version is older than my used version), but I’m sure they will fix this small issue in a future update. 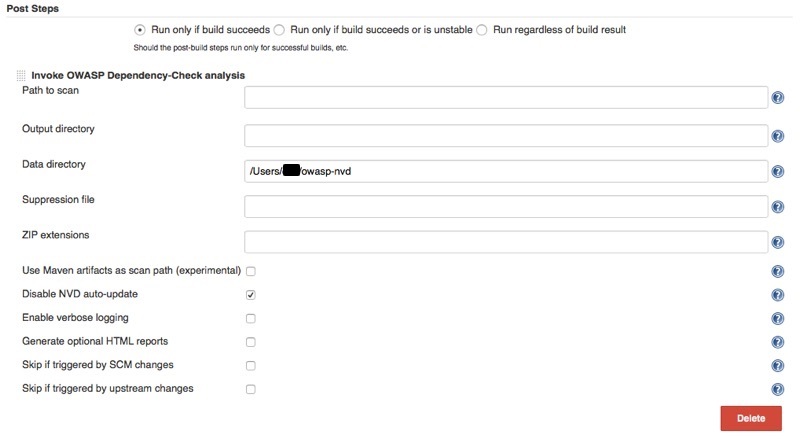 I’ve already blogged about OWASP Dependency Check as a Jenkins plug-in a little while ago. With SRC:CLR, a new web based alternative might be available. 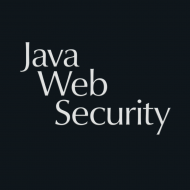 OWASP Dependency Check identified three critical vulnerabilities; one being identical with SRC:CLR (Apache Common BeanUtils, CVE-2014-0114), and two more: JSTL (CVE-2015-0254) and Xalan (CVE-2014-0107). OK, a little difference, and both vulnerabilities are there (the dependencies are identified by SRC:CLR, but listed green with no vulnerability). At least both identified the critical one in Apache Common BeanUtils. Second try, this time with my Application Intrusion Detection repository. SRC:CLR identified no vulnerable dependency, OWASP Dependency Check one (tomcat-embed-core-8.0.33.jar with four vulnerabilities); none of them matters for my application and/or Tomcat version. By simply looking at the sheer numbers it is an OWASP Dependency Check victory. Both tools reported the critical vulnerability, but SRC:CLR skipped the more controversial ones. OWASP Dependency Check has the tendency to report more (everything), including false positives or CVEs that only may affect your application. And therefore forces the developer to decide about the relevance. What I extremely like about SRC:CLR is their way of presenting the analysis. Especially the Dependency Path column which shows you whether it is a direct dependency or a transitive one. But of course it is an online tool, uploading everything to the cloud. Which in my case doesn’t matter because of my public GitHub repos. This might be different in an enterprise environment. Which one to choose? I’ll stick to OWASP Dependency Check on my Jenkins, the reports are fine, and false positives can be excluded. And it keeps everything local. 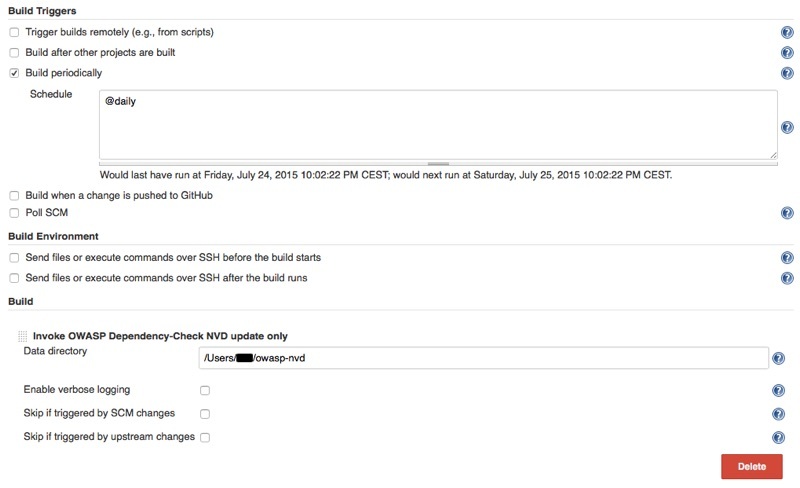 Without a local Jenkins build server I strongly recommend SRC:CLR, directly integrated in your GitHub repo. Vulnerable third party dependencies are a great risk, scanning every (web) application is an absolute must. Thanks to bridgingIT – the great company I’m working for – I was able to attend my third JavaOne conference in San Francisco this year, including the presentation of two of my own talks: A well attended The Web Application Strikes back on Monday and an almost packed room for Java Web Security Antipatterns on Thursday. All slides and demo projects are available here. Most sessions I’ve attended were good and informative, a lot of packed rooms. Received a lot of information, often directly from Oracle engineers or great other speakers. The security track was again a good decision, most sessions were well attended. Good to see more and more developers taking care of security in their applications. Modularization played a big role this year, including a lot of information on how to prepare your own libraries and frameworks for the upcoming Java version. Java 9 modularization looks pretty well-thought-out, delaying it until now turned out to be a good decision after all. It will take an even longer time for full adoption, but it’s worth the wait. Loved to see Spring/ Spring Boot in so many sessions and demo projects. Of course Java EE is more visible here, but it’s nice to see the conference provides more room for this great alternative and treats it as an equivalent alternative. Food (lunch) has never been good at JavaOne, compared to ANY other conference I have ever attended. Hard to call that even food. This year was the worst year ever food-wise. At least they started to serve local craft beer in the evening as an addition to their ‘traditional’ Budweiser polluted water. But some eatable lunch would be lovely. USA is too far away? No problem, there are still a lot of upcoming talks in Germany this year. 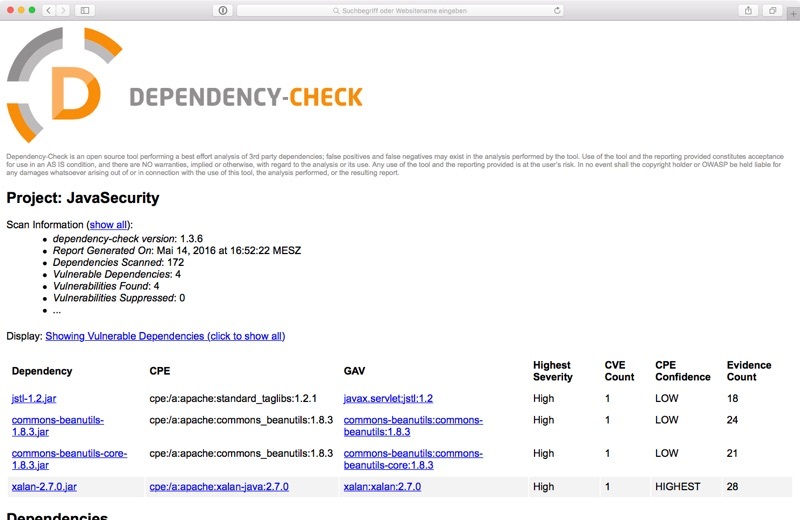 OWASP Dependency Check is a great tool to check your third party dependencies in Java (web) applications. Besides using it as command line tool, Maven plugin or Ant task, you should integrate it all your Jenkins build jobs. Enter a data directory which will be used by every job. This job should have a build trigger to run that job periodically (like @daily). Now save and run the job. Time to save and run your job. As with any (security) scan results: these lists tend to contain false positives, verify each finding! This configuration ensures fast job execution and minimizes the required update time for the National Vulnerability Database. Besides that, it reduces the required disk space by using only one common database. Contrast released Contrast for Eclipse 1.0 already a little while ago. The Eclipse plug-in works as a runtime security scanner and checks for security vulnerabilities in your web application while executing it in Eclipse. Promised by Contrast on Eclipse Marketplace is an Automated detection of OWASP Top 10 vulnerabilities. 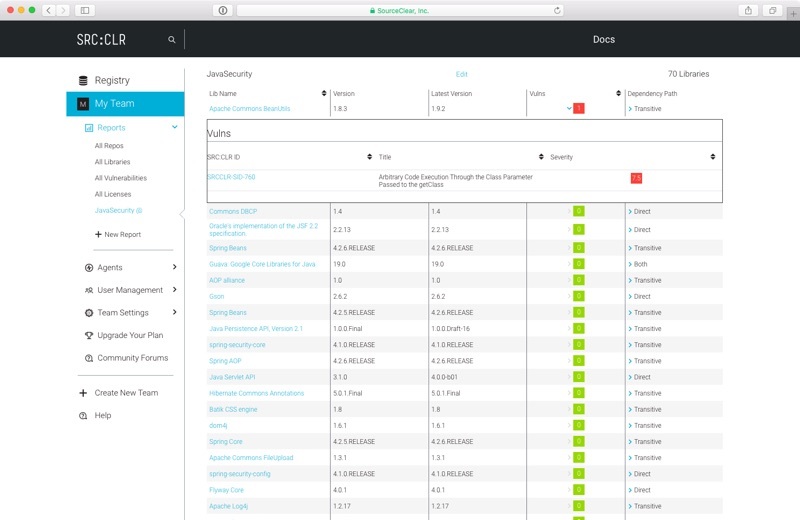 This is the first free tool available that explicitly scans for security vulnerabilities. Other tools like FindBugs or PMD may find some security problems as well, but are focussed on bugs and bad practices. 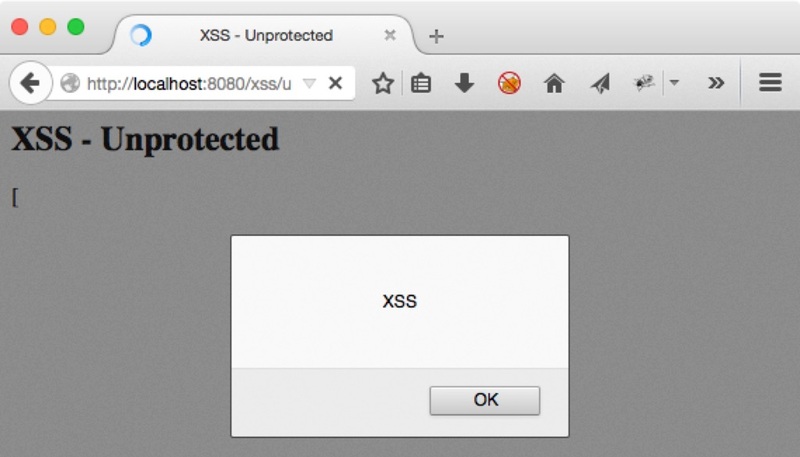 The scanner detects possible vulnerabilities while you are using the web application (a.k.a. at runtime) and points to the source code line causing the vulnerability, extended with helpful information about the vulnerability and additional links. Next stop, CSRF: Same findings (cache and auto-complete), no CSRF warning. Final stop, SQL Injection: Same findings (cache and auto-complete), no SQL Injection warning. XSS, CSRF and SQL Injection are – in my eyes – still some of the nastier problems we are facing in web applications (among others). And they have been a part of the OWASP Top 10 forever. Countercheck with FindBugs (and manually enabled security and malicious code vulnerability checks): got several warnings on reflected cross-site scripting and SQL Injection vulnerabilities. So, use the Contrast plug-in or not? Well, use it from time to time, it still might discover some vulnerabilities in your web application. But don’t expect too much and definitively extend it with regular FindBugs scans. Still a long way to go with open source security scanner. 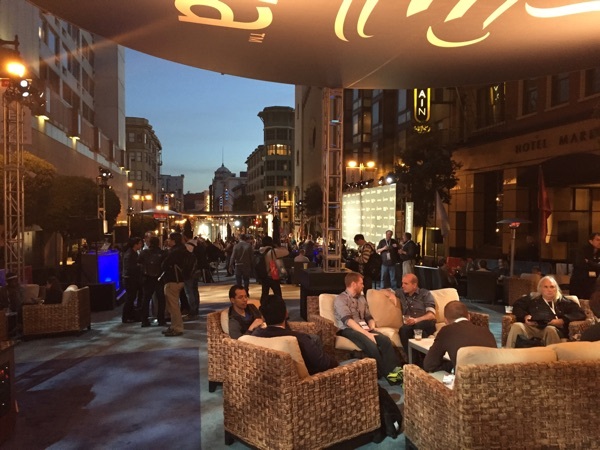 JavaOne 2014 is over, and it has been a fantastic experience! Better than my first attendance 2012. Most sessions had a higher quality, JavaHub was fantastic (I just love the Nao robot), enjoyed Geek Bike Ride and met a lot of new and interesting Java developers. The only mixed feelings I have are about both keynotes (Sunday and Thursday). No new content on Sunday, cut off in the middle of the most interesting part to probably make room for the OpenWorld keynote. Thursday contained a lot of advertisement for one of the sponsors (I’m not going to repeat their name), first half hour totally wasted (yeah, I know, the conference seems to need sponsors, Oracle can’t afford all the money, totally poor company, oh, wait…). But the rest of the keynote was actually quite good. Food was poor as always, but the parties in the evenings were much better and the food was ok there (which does not include the beer). Of course I attended a lot of security sessions and met a lot of speakers I only knew from recordings so far. And as Jim Manico said today, it is nice that the security people started to tell unexperienced developers the same stories and recommend the same solutions. That doesn’t make us interchangeable! Instead it helps the developers to do the right thing and develop software securely. My slides are available for download here. Header set Cache-Control "no-store, no-cache, must-revalidate"
Header set Content-Security-Policy "default-src 'self'; img-src 'self' http: https: *.gravatar.com; frame-ancestors 'none'"
The Content Security Policy header is great, but this is a typical example for problems with older (I don’t wanna say legacy in this case) applications or application parts you don’t have under control. But anyway, all security relevant headers are returned in my blog now. Please report any problems you might discover. So Mozilla has decided to deprecate the X-Frame-Options header to avoid clickjacking or UI redressing attacks (have a look in the page history, the first version used a much stronger language). This header was never standardized (as the leading X indicates), but is supported in all browsers (yes, in ALL browsers, with the exception of the special ALLOW-FROM value). The X-Frame-Options replacement is Content Security Policy Level 2 (CSP) with its frame-ancestors directive. I’m all for reducing the huge amount of headers and using CSP instead. Even though a CSP for a normal web application might already be extensive. There is one huge problem though: browser support. While most modern browsers support CSP level 1 (where there is no frame-ancestors directive) – Internet Explorer supports at least a subset – only Firefox supports the frame-ancestors directive. Give it a try, I’ve updated my security-headers web application you can clone from GitHub. This of course leads to the situation that we developers have to return both headers at the same time, X-Frame-Options and CSP with frame-ancestors directive. And the browser shouldn’t have any problem with that. Older browsers ignore the CSP, newer browsers should ignore X-Frame-Options if frame-ancestors is present. Doesn’t sound like a lot of fun for both parties, does it? But that’s the way it is. We simply cannot afford replacing X-Frame-Options header with CSP right now and leaving most web users unprotected. Especially corporate environments with older browsers (even older Firefox versions do not support CSP Level 2) this will be the situation for quite a while. In the end, CSP will win, and it’s a win we all will benefit from. Just be patient, there is no need to hurry removing old headers right away.